The SEK Educational System is based on knowledge acquisition through the exploration of concepts, research and the development of competencies that encourage critical thinking and creativity. SEK pupils learn all those strategies that will permit them, throughout their lives, to be autonomous, self-assured and able to learn independently. SEK-Les Alpes offers the 2nd and 3rd years of Compulsory Secondary Education (ESO) syllabus in trilingual mode (French, English and Spanish). In Spanish, English and French. The language learning system provides pupils with the opportunity to widen their existing skills and knowledge in order to advance towards new stages of linguistic development. 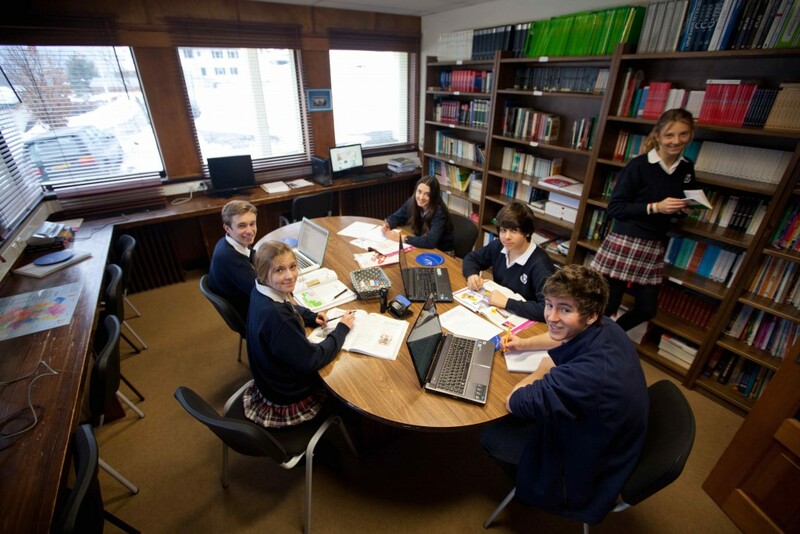 The learning of English and French is structured by level so that pupils can join whether or not they have any previous knowledge of one or other of the languages, in particular French. In order to establish the various levels, the 2012 Common European Reference Framework for Languages is used along with the 2011 Standards for Foreign Language Learning in the 21st Century. Organised around eight groups of subjects. Blended Learning is used for some of these subjects, which gives the pupil access to other teachers by means of digital resources and a wide range of online materials. The learning and teaching process is extended beyond formal timetables and geographical locations. Educational rigour which manifests itself in a demanding programme that extends beyond the school day and an assessment system aimed towards improvement. Pupils attain the appropriate academic performance level because they adapt the model to suit their own style and speed of learning. Balanced education, which is provided within the framework of the physical, social, emotional, moral and aesthetic development of each pupil through Campus SEK activities.